The Royal Canadian Legion is Canada’s largest Veteran support and community service organization. Our branch has over 250 members and we work to make a difference in the lives of Veterans and their families, provide essential services within our community, and remember the men and women who made the ultimate sacrifice for our Country. There is something for everyone at Branch 63. Some of our regular activities include live music, burger night, wing night, meat draws, Chase the Queen, and so much more. We have a beautiful lounge for members and guests to enjoy along with two video lottery terminals and Nevada tickets for those who like to try thier luck. Legion members care deeply about supporting the men and women who serve this country and want to make a difference in the lives of Veterans as well as serve their community. If you are over the age of 18 and a Canadian citizen, it's easy to become a member. Join today! As an organization of volunteers made up of and run by volunteers, we are always looking for others to help fill volunteer positions within the branch. Any level of time commitment is appreciated; whether it's just for special events or for an ongoing basis. There is always room for more volunteers. The Legion encourages schools to have their students take part in the longstanding tradition of the Annual Poster and Literary Contests. Canadian school children participate by submitting art and poetry that convey their own unique ideas of Remembrance. Each November 11th we take a few moments out to reflect upon the sacrifices made by soldiers around the world in past and present conflicts. We hope that, through the use of material provided by the Royal Canadian Legion and the Department of Veterans Affairs, schools can help young Canadian citizens to once again reflect upon the incredible price paid for the freedom which we enjoy. The Royal Canadian Legion appreciates your help in getting today’s youth to take a few moments out of their day and think about the freedom and security that we have and those that fought to ensure it. All entries must be turned into the branch by November 1st, 2017. It is very important that each entry have the completed entry form along with their submission. Both the student and parent must sign consent. We appreciate the efforts that many schools make to help students understand what Remembrance Day is all about. Whether it be through classroom activities or school assemblies, the schools have worked hard to help our organization educate the young people of our city. Another great local resource is the many veterans that we have in our city. Often these veterans are willing to come and be a part of classroom or assembly activities if invited. If you have access to any of these veterans, we encourage you to contact them. Our Branch run solely on volunteers. 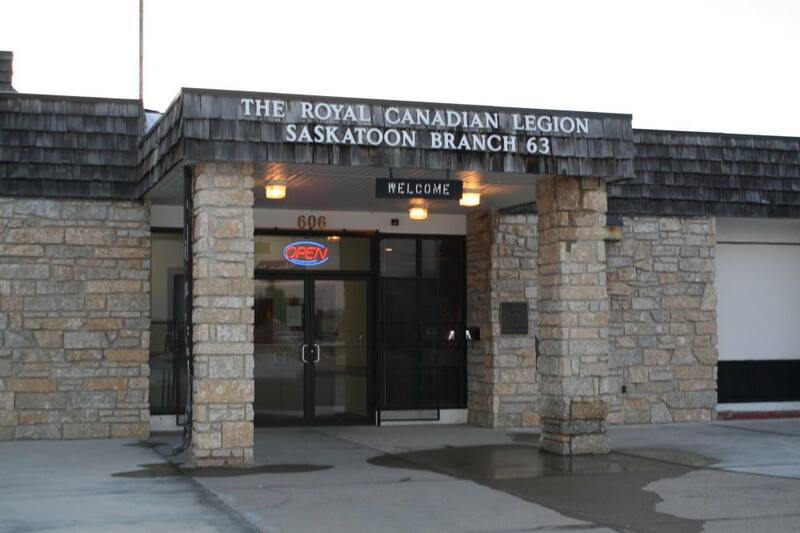 The Royal Canadian Legion is a not for profit organization funded by membership fees, donations and fundraising. We do not recieve any government grants or any financial assistance from the government. To keep out branch running and to be able to seniors, youth, healthcare, low income families and so many more in our community, we use fundraising dollars. None of the money raised through the poppy campaign each year is used to support our branch. The funds for the poppy campaign are used strictly based on the guidelines for the campaign. (Details about the poppy campaign can be found under the Membership tab above). *Come and visit our lounge! Join us for a social drink or two as all profits from the lounge go to the operational costs of the Legion.